A modern campus in St.Petersburg, located in the vicinity of the international Pulkovo airport. The premium business premises cover 43,000 square meters.Technopolis offers a comfortable space for work and business. Competent and smart architectural solutions and engineering systems, a restaurant, a café, recreational areas in the building and the adjacent areas make your staying here comfortable and efficient. This campus has LEED-certificates, read more here. On the 1st floor there are information service desk, lobby for guests with free WLAN, ATM, conference-centre, restaurant Ilma, postal boxes for clients. From 2nd to 8th floor clients’ offices are located. All floors have elevators for passangers and extra-capacity equipment, crossing rooms and bathrooms. Free parking area for guests is located opposite the main entrance. On the 1st floor of the second building you can see an information service reception desk and lobby for guests with free wi fi, server room, cafe Lakka, business lounge, postal boxes, play zone. Table tennis field is in the interior yard. Above clients’ offices are located. At the 8th floor there are two premium meeting rooms and sauna. Parking area for clients is located in the end of the building. 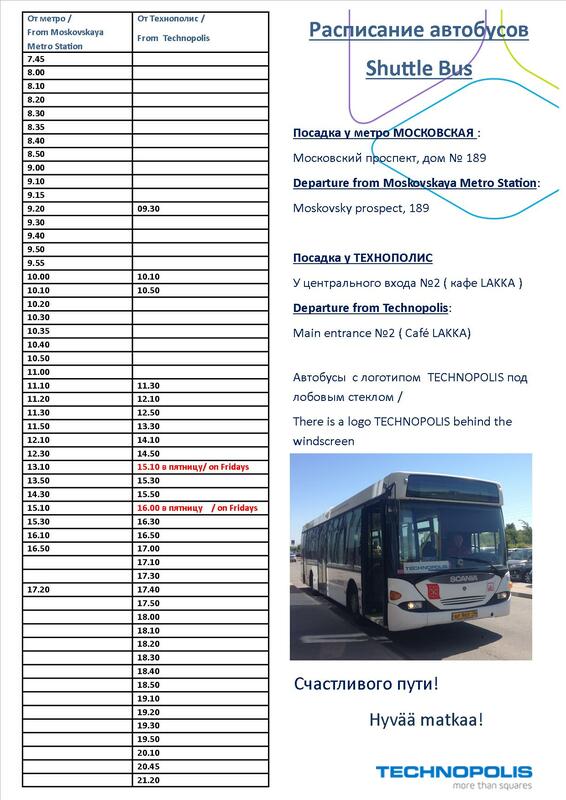 Technopolis Pulkovo means european quality in St.Petersburg. Convenient location vicinity an international airport and road junction, in 30 minutes by car to the centre of the city. We care about out clients and offer most of the best: high-quality service, organization of space according clients’ needs, quick re-organization of the spaces. Competent architectural solutions and engineering systems, restaurant, cafe, recreational areas in the building and the adjacent areas make your staying here comfortable and efficient. Our clients are Russian and multinational corporations, small business companies and state-owned enterpises. We met Technopolis long ago before moving in - at one of the Business Breakfasts in spring 2013. That event was dedicated to the opening of private business in Finland. We were interested in the concept, but there were not any vacant offices up to that moment. And we started waiting for finishing construction of the second building. We rented a virtual office in Lappeenranta. For us it's very convenient; Technopolis concept let us use the same services in all campuses in different countries. In the end of 2013 we moved in Technopolis. Within our wating none of the premises in the first building became vacant! Our St.Petersburg office is a competitive one. Technopolis has many things which are important for a small company as we are. There are an excellent restaurant, cafe and pizzeria on the first floor. A lot of high-quality meeting rooms are located in the building, convenient parking and good location of the campus in general. And one more important issue - qualified and very helpful staff. There is a sauna where we are going to be for a festive event. We are a small business company and for us it's very important to have such partner as Technopolis. I think it's one of the best business campuses of St.Ptersburg and I am very glad to be a resident there.